"Citizen Journalist" Kobi Libii confronted The Opposition host's real-life counterpart on the streets of Washington, D.C., asking: “Are you the real Alex Jones?” In response, Jones denied calling people crisis actors, telling Libii: “You’re an actor pretending to be journalist pretending to be a comedian, so you can sit there and confuse your audience like you’re a news show." That prompted this response from Klepper in the studio: “I want to be clear. We didn’t call this Alex Jones crisis actor a ‘crisis actor.’ We merely looked at the crisis actor-like behavior of this crisis actor-like man, speaking from what felt like a script, and said, ‘Others might say Alex Jones is a crisis actor.'" 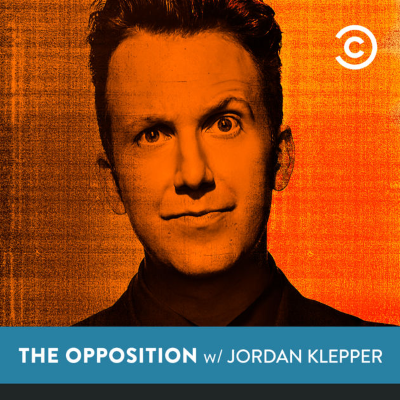 Jordan Klepper ends The Opposition by saying "I think the bad guys won"
Jordan Klepper recalls Comedy Central's decision to end The Opposition, says tonight's final episode is "bittersweet"
Jordan Klepper responds to The Opposition's cancelation by calling Viacom "the deep state cabal"